Bryan Cranston reveals 'Power Rangers' movie details! The Blue Ranger is named after Bryan Cranston?! The Academy Award nominee tells Larry King that’s the case, explaining his 35-year history with the ‘Power Rangers’ franchise and why he decided to join the upcoming film as Zordon. 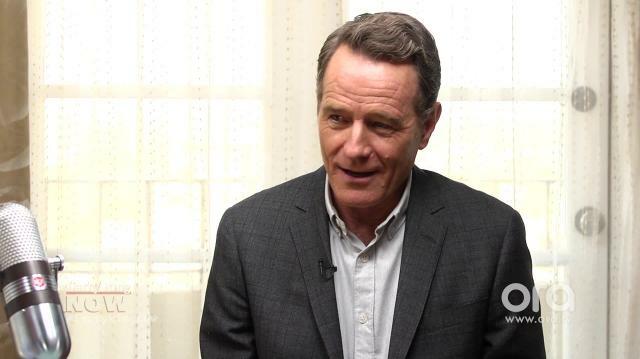 Plus, Cranston on how the movie will differ from the TV series. Bryan Cranston explains his long history with the ‘Power Rangers’ franchise, his recently announced role as Zordon in the upcoming movie, and reveals the difference between the ‘Power Rangers’ series and the movie, as well as giving insight into how he plans to “find” his character. Cranston remembers his early days in the business when he worked as a voiceover actor, dubbing ‘Power Rangers’ into English. Cranston’s work ensured a lasting legacy within the franchise, as he reveals that the Blue Ranger was named Billy Cranston in his honor. Cranston clarifies that the upcoming movie will be a “completely different, re-imagined ‘Power Rangers’” that will differ from the TV show fans are familiar with. Cranston describes his character, Zordon, as “a disembodied human being” whose “spirit is in the ether world.” He also names Zordon the “spiritual guide of the Power Rangers.” Cranston jokes about having to find his character and confesses that he’s been looking forward to doing the first superhero movie of his career.